At Touch Technology we know how to speak your language. We pride ourselves on providing you with great advice and delivering rock solid solutions. Our systems are under constant development to keep up with industry best practices, and we work with you to make sure you remain at the leading edge. We know how time is constantly squeezed, and worrying about techology is the last thing you want to be doing. That is where we can help! We've been looking out for guys & girls like you fo years. We help you get on with using technology to improve your business, we simplify it and explain why you do (or don't!) need the latest technology, and try to make you feel comfortable with your IT spending. 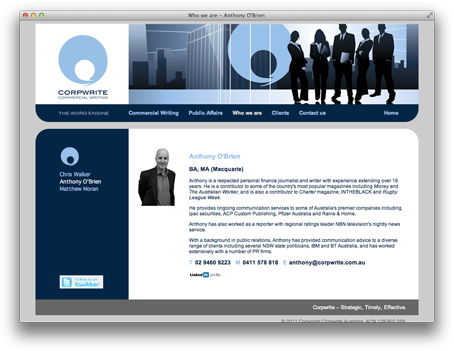 We've developed our own CMS to power your website. 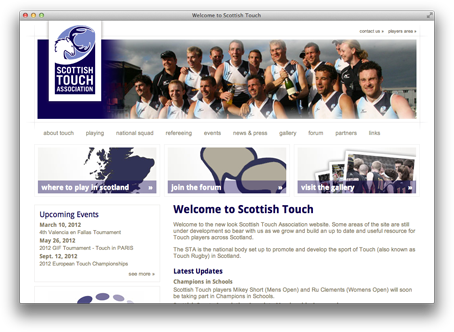 With options available for pages, blogging, products and even eCommerce we can get you online fast. We think our sites are easy to use, but should you have trouble we are able to talk you through the occasional problem you might encounter. 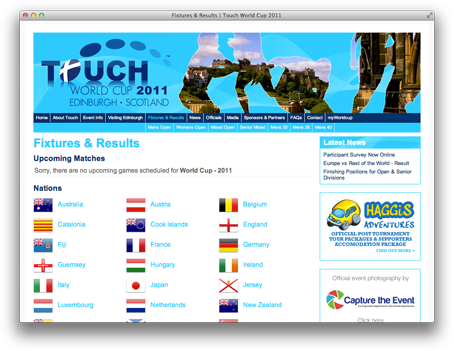 Touch Technology developed a fantastic website for the 2011 Touch World Cup alongside our designer. They surpassed all expectations in terms of ease of use of the site, customer service and generally going the extra mile to ensure the site was a success. We can not speak highly enough of their skills and would recommend them to any organisation.